This is what the bed looks like now. When we bought the bed it didn’t come with any slats. We bought wooden slats from Ikea and my husband had to custom fit them to the bed. I didn’t really pay much attention to what he was doing but it took a very long time to custom fit the slats on to the frame of the bed. The bed is technically King sized but it is King size but sideways. The Ikea slats worked perfectly. We also bought a King size mattress from Ikea and topped it with a four inch memory form mattress. This is definitely the most comfortable bed that I have ever slept on. 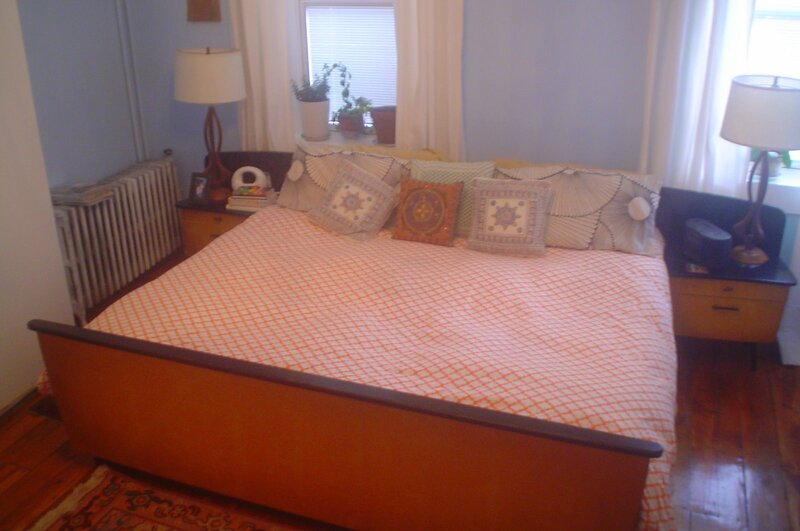 The sheets are a Marimekko print from CB2. 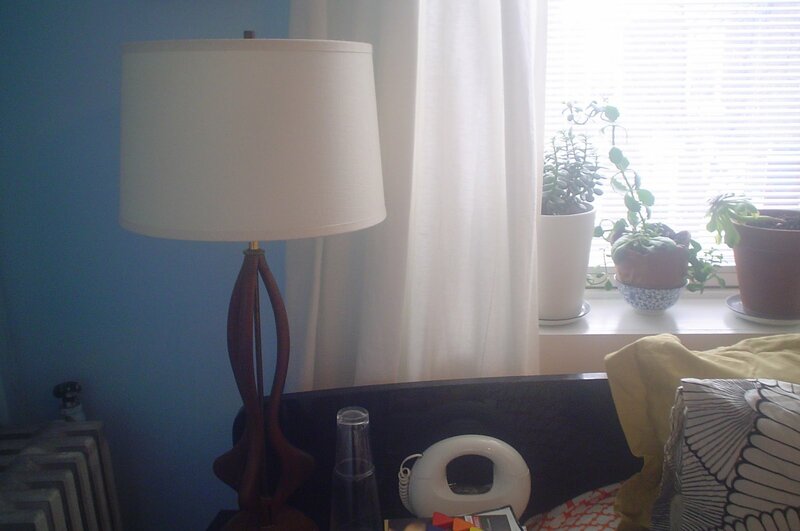 I bought the lamps on ebay for about $45 for the pair. They had to be re-wired which was easy to do. The shades were a little bit more expensive and are from Restoration Hardware.